The Special One is back in town and, appropriately, the return of Jose Mourinho to Stamford Bridge has prompted bookmakers to frame a wide variety of special markets. Mourinho has signed a four-year contract to coach Chelsea for the second time having left the Blues by mutual consent in September 2007 following a series of disagreements with the man that rules the roost, Roman Abramovich. The Special One had the rest of that European season off before joining Internazionale in June 2008. Mourinho won five trophies in Milan, including two Italian Serie A championships and one UEFA Champions League title, before switching to Real Madrid, where he won one piece of silverware per term. Several of the Mourinho-Chelsea special markets should be of interest to punters, most notably the ones that enable one to bet on the Blues conceding the fewest number of goals in the English Premier League next season, remaining unbeaten at home throughout the top-flight campaign and winning any trophy during the Special One’s first year back in charge. The defensive numbers of Mourinho-managed teams are quite extraordinary. 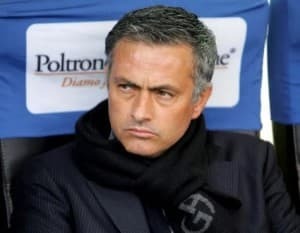 The Special One has spent 10 full seasons leading one club – Porto for two terms, Chelsea for three terms, Internazionale for two terms and Real Madrid for three terms – and, with the exception of his three years bossing the Meringues, he has been responsible for the domestic league’s stingiest defence on every occasion. 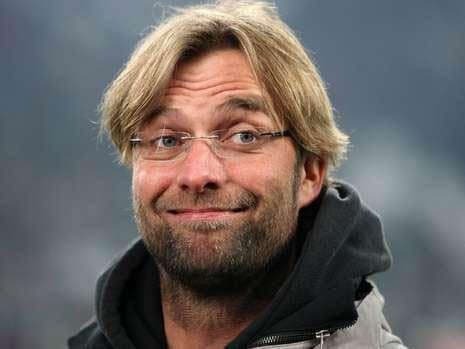 Odds of around 5-2 about Chelsea conceding fewer English Premier League goals than its 19 rivals seem more than fair when one considers that Chelsea leaked only five more than Manchester City last season and Mourinho is likely to spend large chunks of Abramovich’s cash in the next few months. For the record, Chelsea under Mourinho conceded 15 goals in the 2004-2005 English Premier League competition, 22 goals in the 2005-2006 edition and 24 goals in the 2006-2007 renewal, which was the Special One’s last full term. Turning one’s home ground into an imposing fortress is another of Mourinho’s great abilities. Porto, Chelsea and Internazionale did not lose a single home league game during the Special One’s seven full seasons with the Portuguese, English and Italian giants, while Real Madrid had 17 wins, two draws and no losses during the campaign just completed. Odds of around 8-1 are available at BetVictor about Chelsea not losing an English Premier League match next term. What that equates to is, roughly, average odds of 1-10 per game since a 19-match accumulator at 1-10 works out at slightly better than 5-1. Does the 5-1 offer represent tremendous value? Probably not but it is difficult to get away from Mourinho’s statistics, with Chelsea having won 44, drawn 13 and lost none of its English Premier League home games during his three full seasons in charge of the ultra-wealthy west London team. Mourinho has won at least one trophy in each of his 10 full terms as a manager, including two in each of his three full Chelsea campaigns. Odds of around 5-6 that the Special One plonks one or more pieces of silverware on Abramovich’s desk seem more than reasonable for a medium-term investment. Football fans will draw comparisons between Mourinho and new Manchester United boss David Moyes. Irish giant, Paddy Power are trying to tap into that conversation with odds of around 11-10 that Chelsea finishes next season above the Red Devils on the English Premier League, while the Special One is 11-10 to last longer at Stamford Bridge than Alex Ferguson’s successor does at Old Trafford. Moyes is a 4-6 shot. Neither market lends itself to a bet. Chelsea ended up 14 points adrift of Manchester United by the time that this term’s English Premier League concluded so the Blues are rightfully outsiders to overtake the Red Devils, even allowing for the likelihood that Chelsea will improve under Mourinho and Manchester United will regress under Moyes. There is a decent chance that Mourinho will last longer than Moyes but that is based on the Manchester United newcomer struggling to fill Ferguson’s shoes more than anything to do with the Special One’s longevity. Mourinho has not spent more than three and a bit seasons with one side so, if one takes the 11-10 about him keeping his job for more time than Moyes, one is betting on the Red Devils punting the former Everton boss quickly, probably in the next three years.